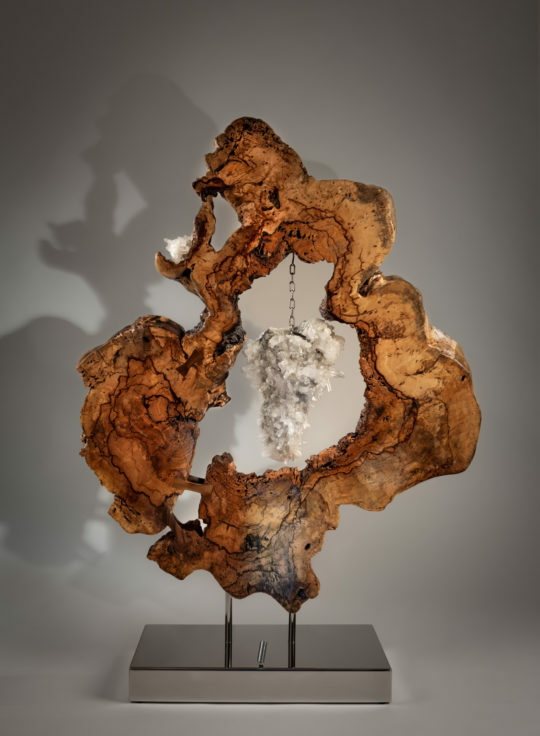 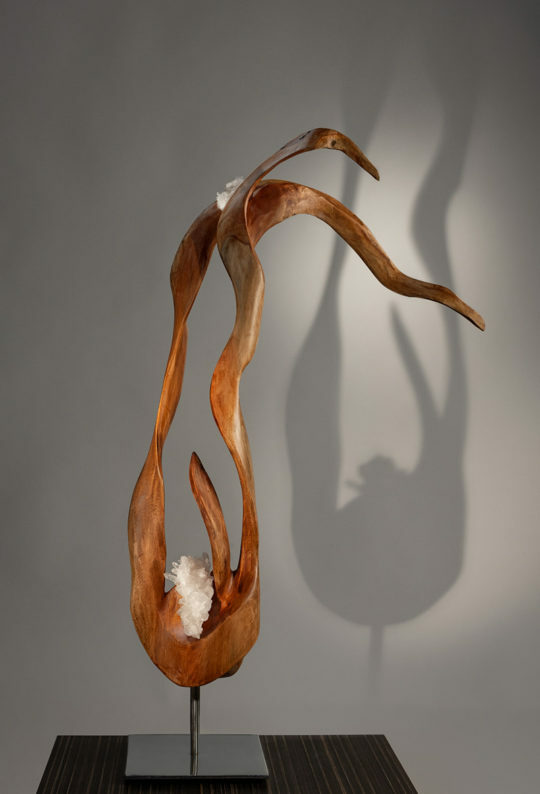 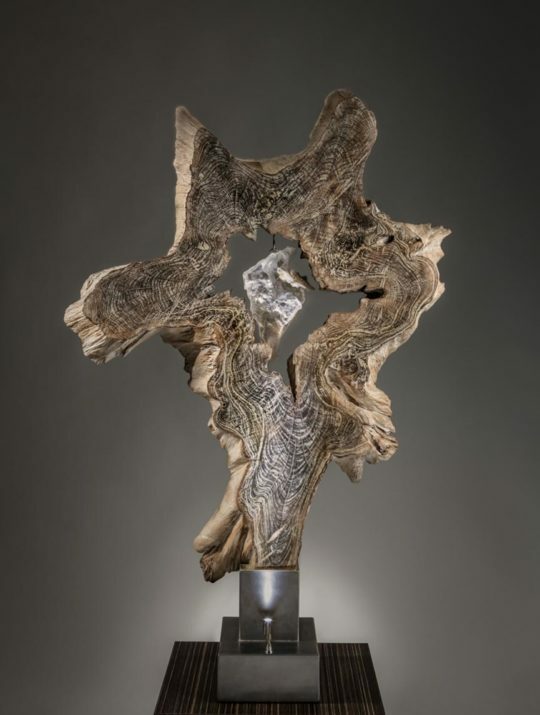 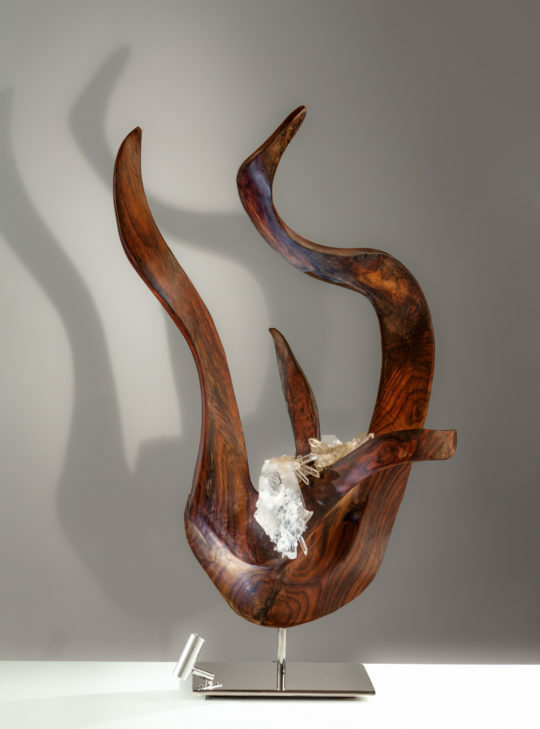 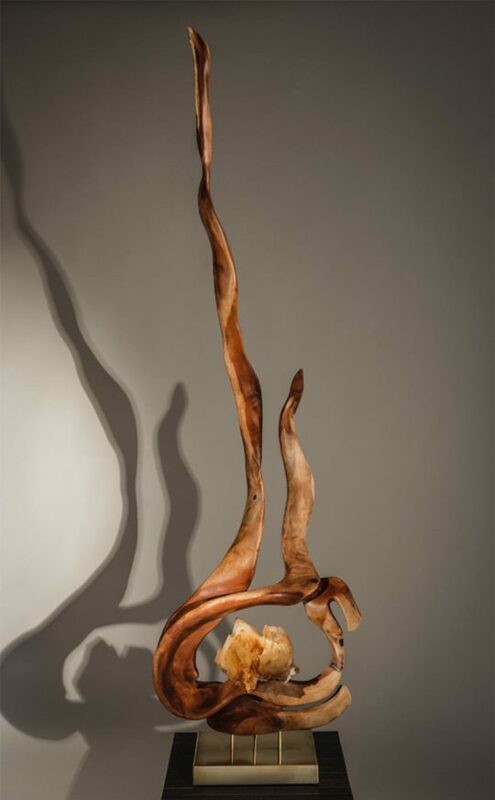 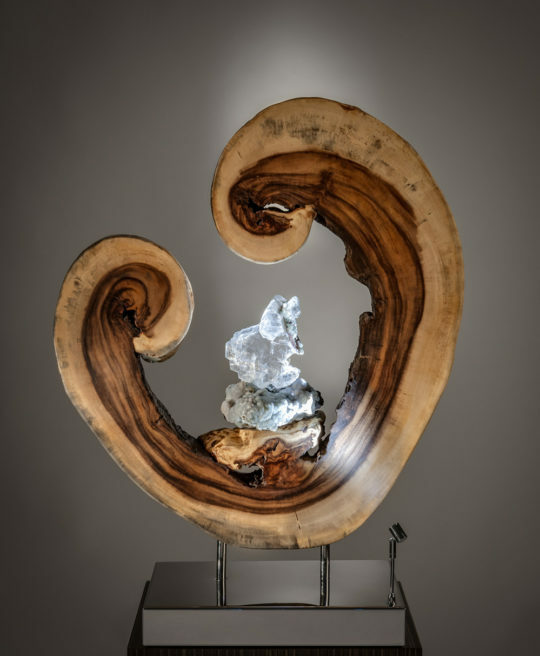 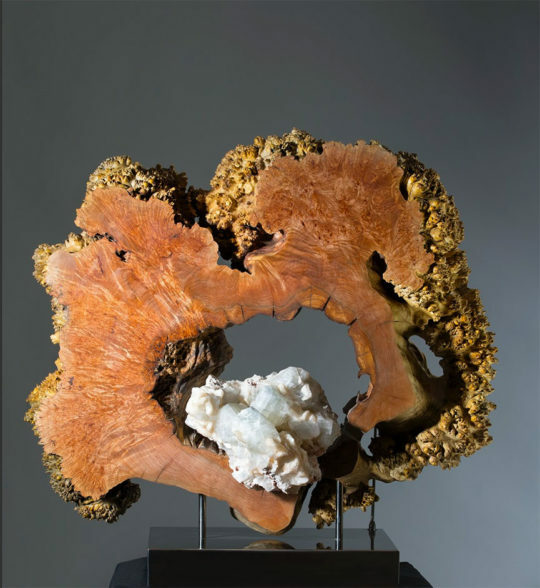 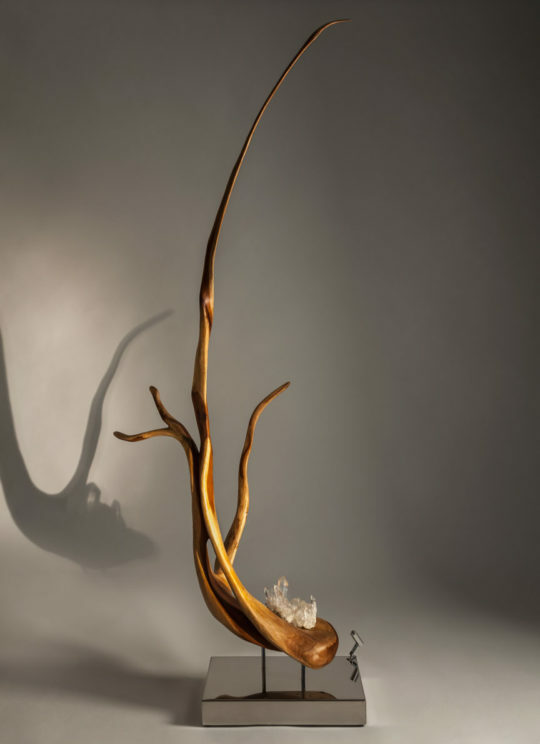 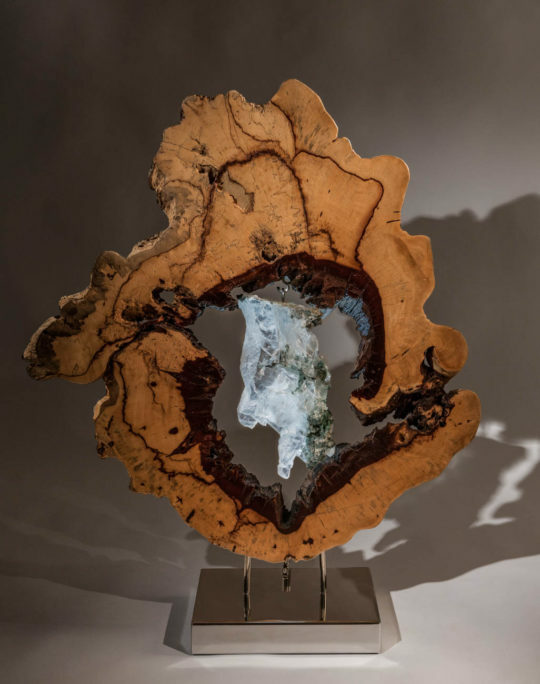 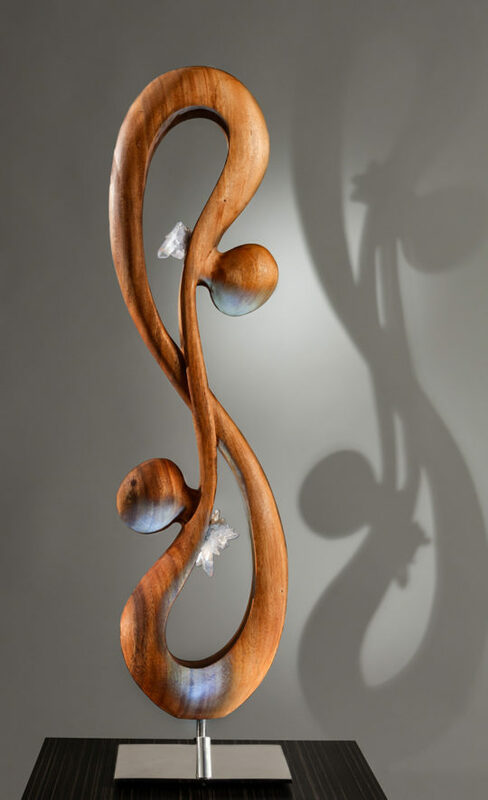 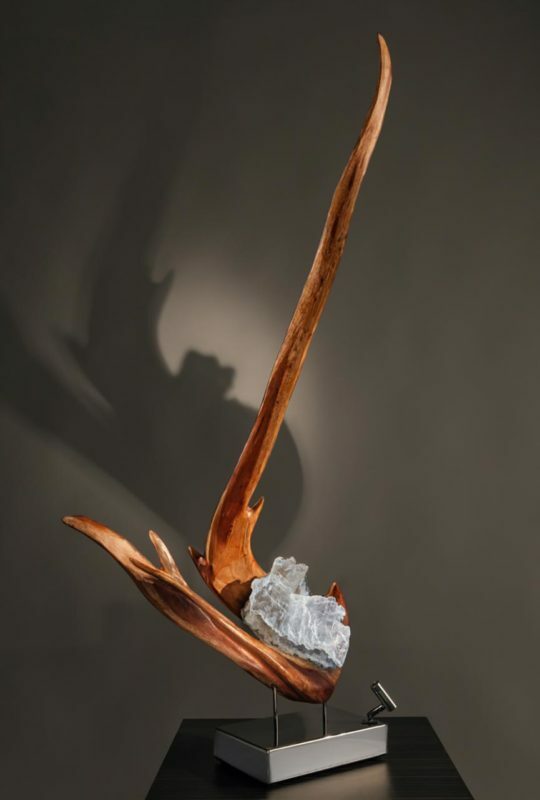 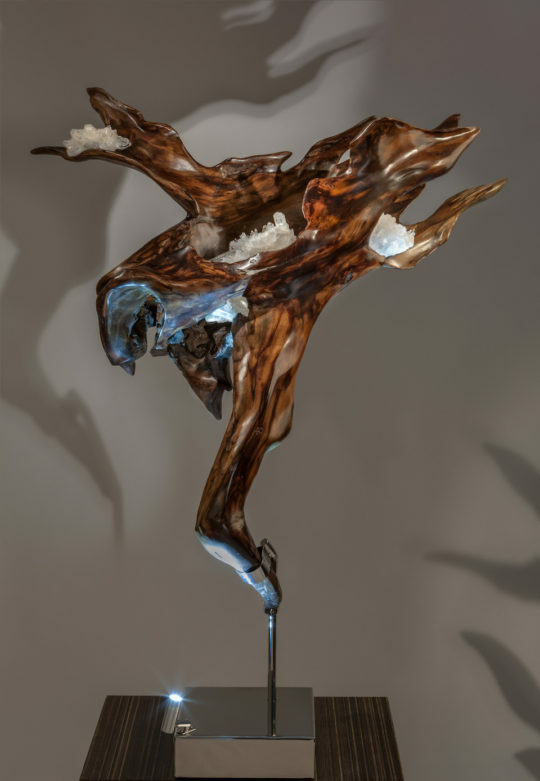 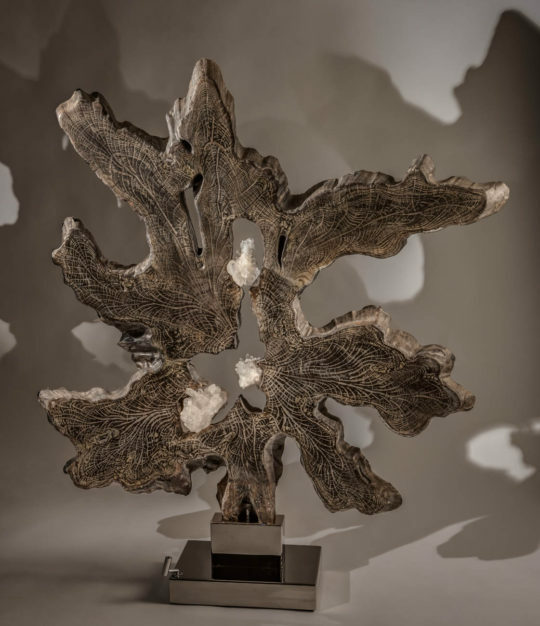 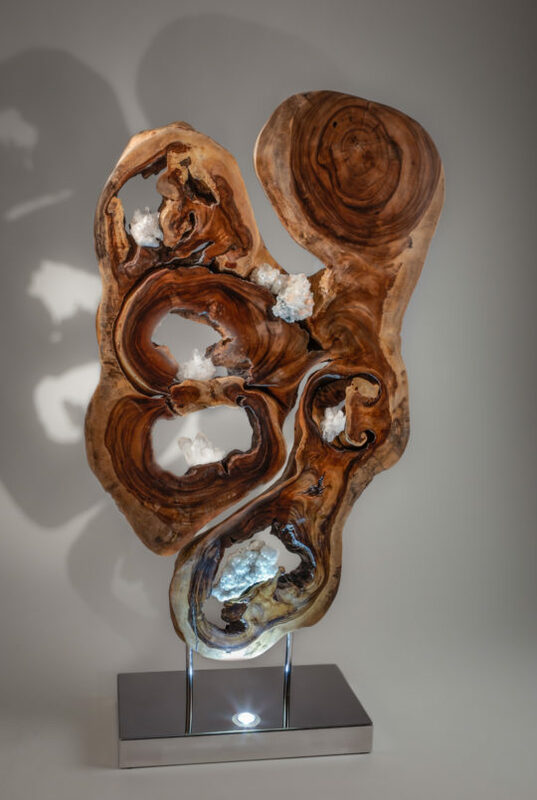 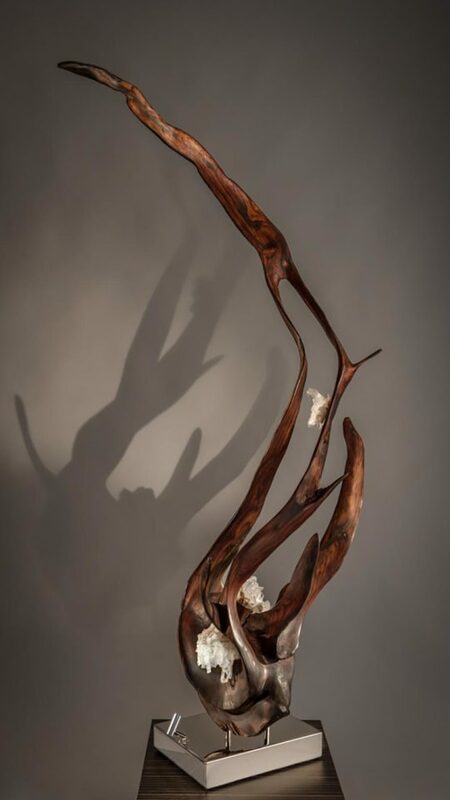 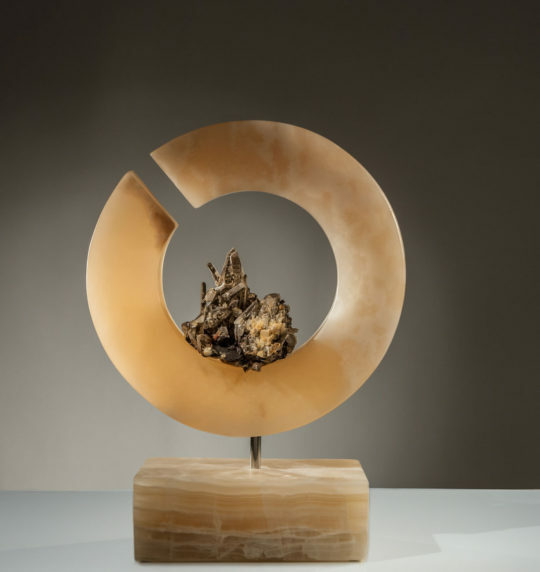 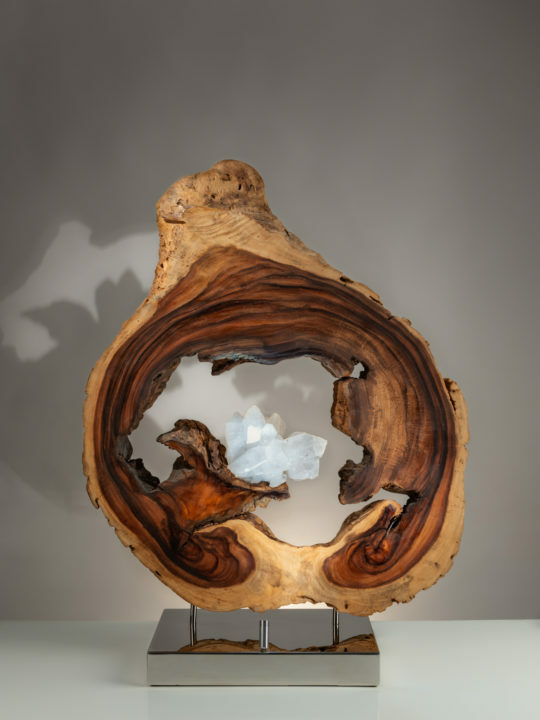 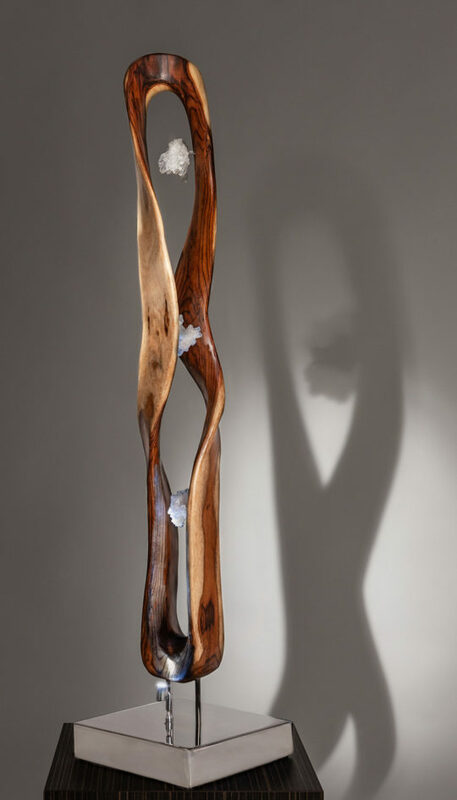 The Light Within is a collection of crystal and wood sculptures that lyrically express spiritual enhancement and power, particularly that of the natural world. 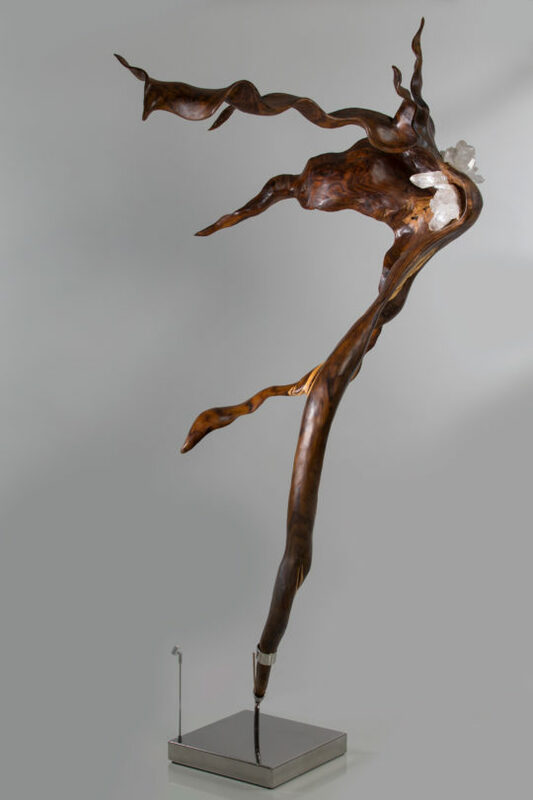 It emphasizes its poetic tale in physical terms of the invisible. 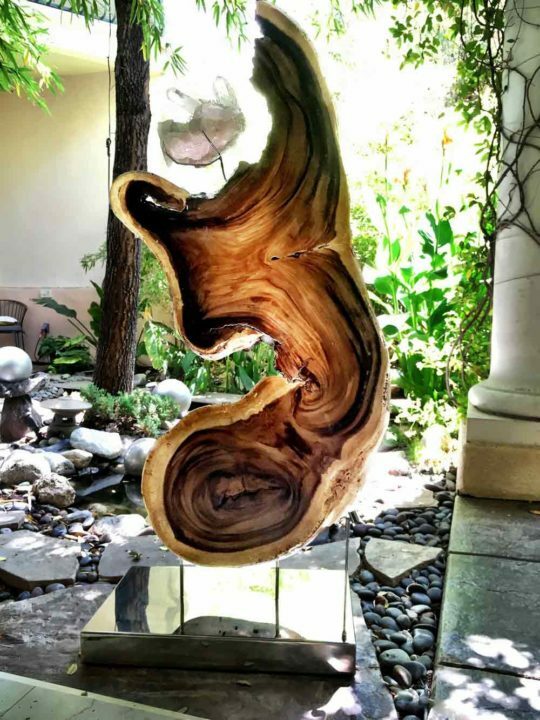 It is a vision of unity and transparency. 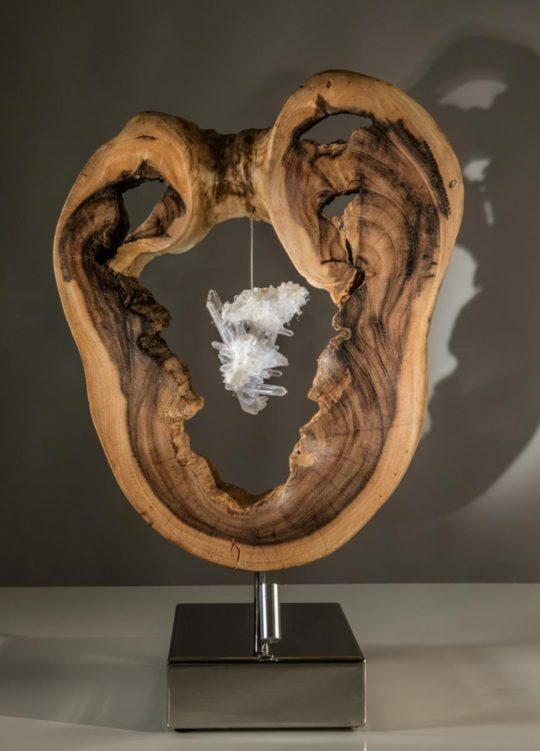 These elements and sensibility coalesce in my work to express something metaphysical as seen in the organic rounded shape of an iconic center of Quartz Crystal, rooted in lovely acacia wood. 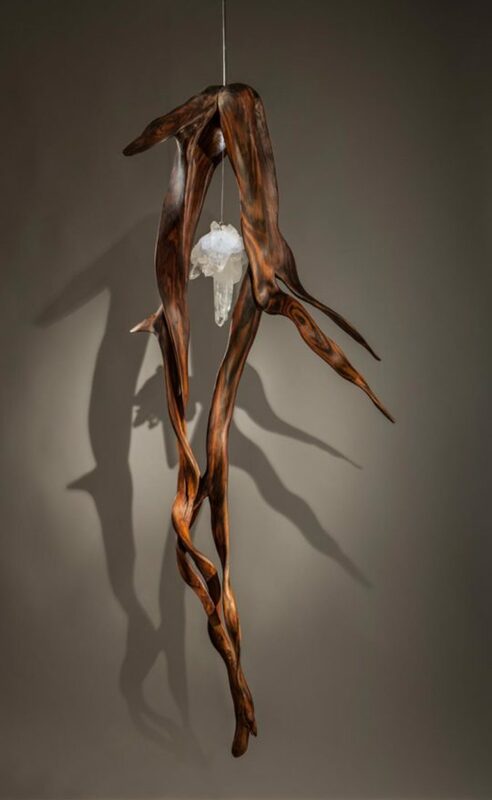 Each piece is composed of rare crystals, reclaimed woods, built-in lighting, iron and high-polished steel. 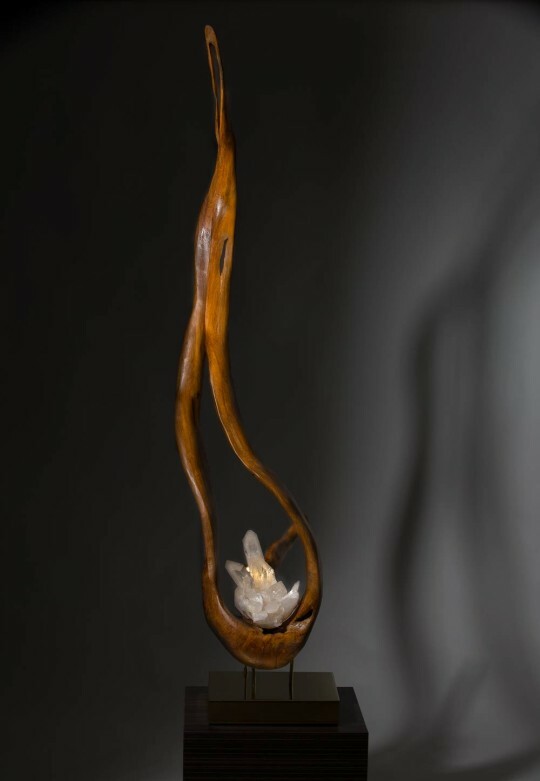 Each crystal adds it’s own unique energetic signature, vigor and delicacy. 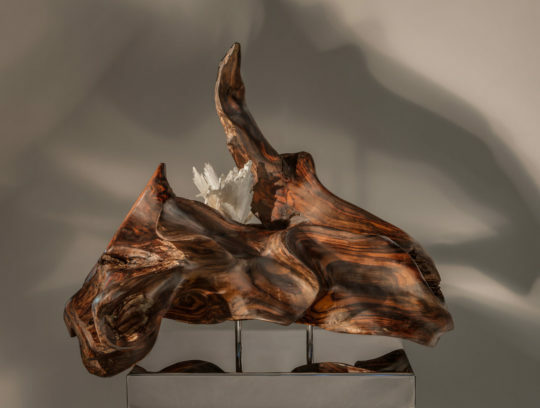 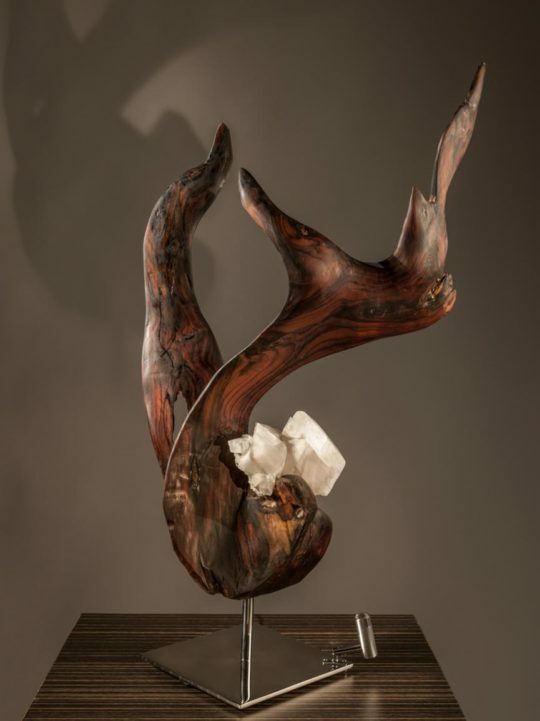 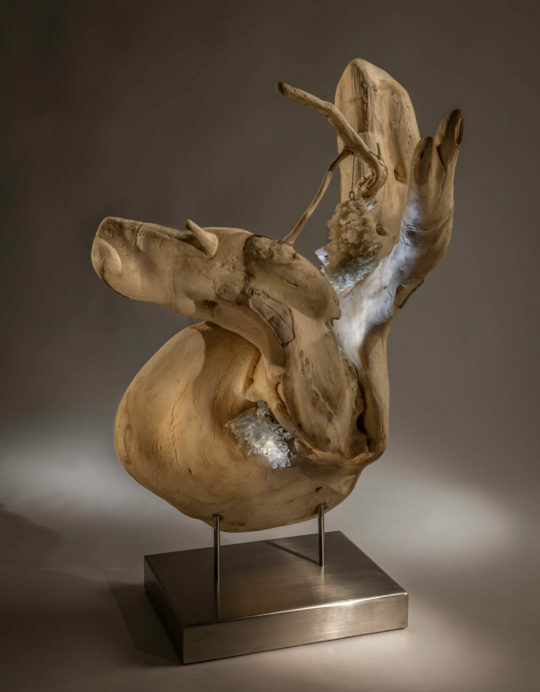 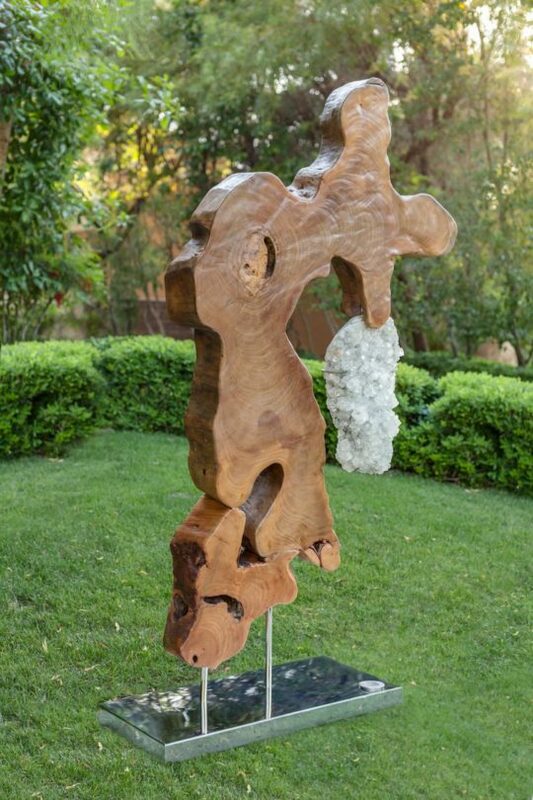 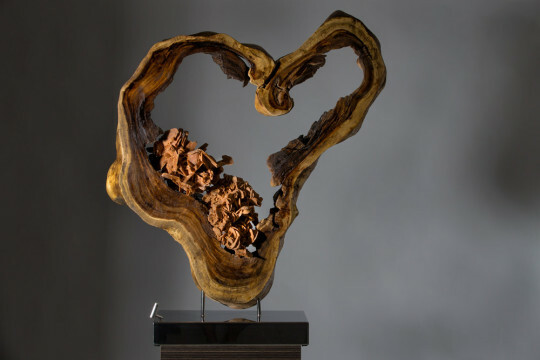 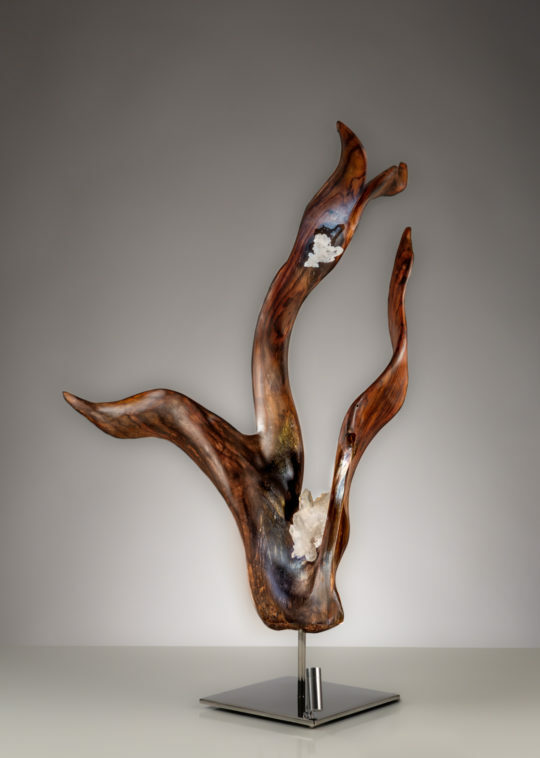 The reclaimed woods add to the rawness to my sculptures that perfectly utilize each elements’ unique features to represent balance and harmony in nature – celebrating the beauty of seeming imperfections.